Date formats have always been a trouble maker. 1/1/11 is one format for expressing today’s date. 2011/01/01 is another one. 1st January 2011 is a third way. 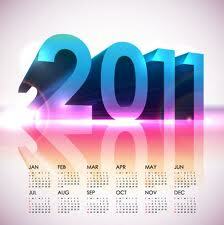 January 1, 2011 is a fourth way. That is of course given you use the Gregorian calendar and you don’t live far east from me, where it’s already a new day when I post this post. 1/1/11 is not one of those days where we have the usual confusion between the American way of expressing a date using the sequence month/day/year opposite to the common straight forward European sequence being day/month/year. But in a few hours when it’s 2/1/11 in Europe and some hours later when it’s 1/2/11 in North America we are confused. So, data quality folks, remember putting your dates in a unique format starting from tomorrow the 2nd January 2011 or, if you like, January 2, 2011. Yes. I was thinking of posting on this too. Let’s not forget dates fields that have all 1’s because the call center operator needs to enter SOMETHING in the date field and all 1’s can be entered quickly. Profiling can help you determine if one value is much more prevalent than others. Thanks for commenting Steve. Oh yes, that famous date: 11th November 1111. Just to complicate things a bit. In Canada, depending which province you come from, we use a different format. Quebec is aligned with the European format and the rest of Canada has taken the American format. When looking at a database, the first thing to do is to figure out the date format used depending on the location. Thanks Nicole. Great info. It’s not so easy to look for simplicity in data quality when the world isn’t that simple at all.